For the 2014/15 project, Málaga opted for Javi Gracia to coach the team, who came to show that it was no coincidence he gained promotion to the First Division with Almería, and to the Second Division with Cádiz in previous years. The first round of the League competition was impressive, equalling the entity’s best record in history with 31 points. The strength in defence and the excellent tactical game reading took Málaga to the top part of the table, permitting the European dream. Gracia had the backbone of the team, which joined the veteran defensive mainstays such as Kameni and Weligton, the hierarchy of the consolidated Camacho and Amrabat, as well as the youth and brazen approach of young players, Darder, Juanmi and ‘Los Samus’, García and Castillejo. In the Copa del Rey, the team narrowly missed out on matching CD Málaga’s historic achievement, when they reached the semi-finals in the 70s. Athletic, who back then prevented Viberti’s Málaga from reaching the Cup final, also stopped Málaga getting to the semis in a very close tie (1-0 on aggregate). The fans will always remember epic victories such as the one against League champions, FC Barcelona. Juanmi’s goal sealed an unforgettable 0-1 win at Camp Nou. 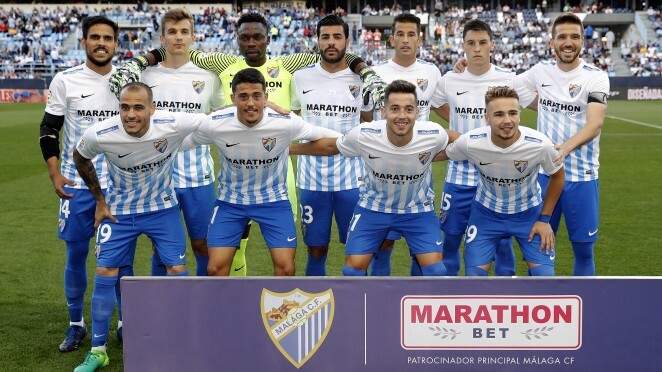 It was precisely the young Coín-born striker, with eight goals, who was named the best Blue and Whites’ goal scorer in the BBVA League, in which Málaga ended in 9th place with 50 points. 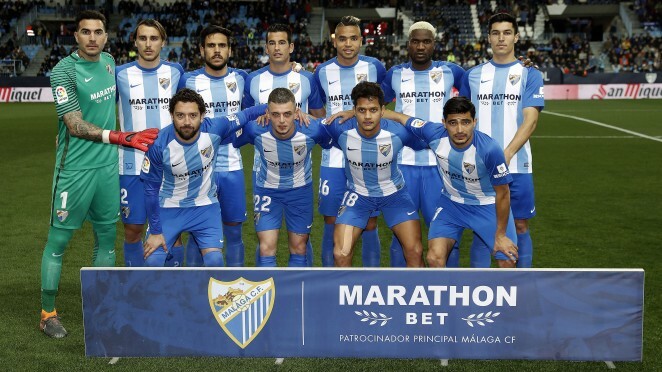 A Málaga CF that amply fulfilled its established objectives, and surpassed the Martiricos Club’s record of consecutive seasons in the Spanish footballing elite, totalling eight. GOALKEEPERS: 1 Kameni, 13 Ochoa and 27 Cousillas. DEFENDERS: 3 Weligton, 4 Flávio, 5 Antunes, 15 Angeleri, 18 Rosales, 19 Boka, 20 Casado, 21 Sergio Sánchez, 23 Miguel Torres, 24 Filipenko and Chen. MIDFIELDERS: 6 Camacho, 8 Portillo, 10 Horta, 11 Pablo Pérez, 12 Tissone, 14 Recio, 17 Duda, 28 Juanpi, 29 Samu Castillejo, 30 Sergi Darder and Bobley Anderson. FORWARDS: 2 Amrabat, 7 Samuel García, 9 Santa Cruz, 9 Javi Guerra, 11 Juanmi, 16 Rescaldani and 22 Luis Alberto.